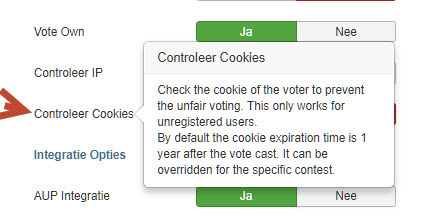 How can I override a cookie setting? You can override global settings in any contest. Go to Contests > Edit your Contest > click on "Basic options" tab and change params you need (cookie params). Last edit: 4 months 4 weeks ago by Eugene.